Well I’m back. 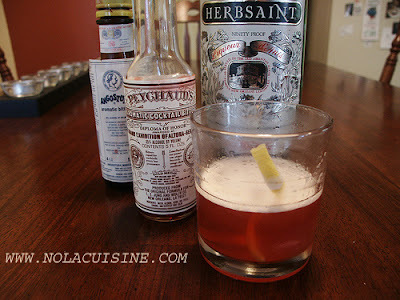 I know, I know…it’s been a long stretch between posts, but a recent visit to New Orleans and some out lying areas of Louisiana, has me re-inspired, rejuvenated, and ready to take on the daunting task of posting all of the terrific content I have compiled on that four day journey, I also have some new recipes to share as well. So here we go…it sincerely feels great to be back at this! I hope you enjoy! 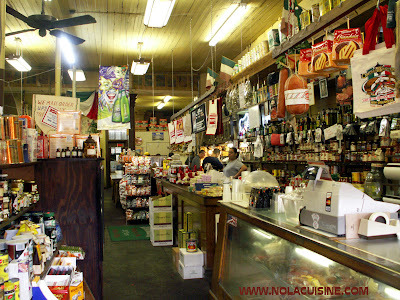 Long on my Louisiana bucket list of places to dine has been Middendorf’s Seafood Restaurant, about 45 miles away from New Orleans, Akers, Louisiana to be exact, on Highway 51, between Lake Maurepas and Lake Pontchartrain, and pretty much in the middle of nowhere. It’s a scenic drive from the airport, I-10 provides great views of Bayou Piquant and Lake Pontchartrain, and elevated Highway 51 snakes through the Maurepas Swamp, providing visitors with excellent views of the Cypress swamps, complete with spanish moss. I’m a sap and I love Louisiana, so every time I see those picturesque views after I’ve been away for a spell, it gives me a nice warm glow. Josie and Louis Middendorf opened Middendorf’s Seafood Restaurant on July 4, 1934 during the great depression. The restaurant was passed down through two generations of the family. The Lamonte family who owned the restaurant for 40 years, sold it and passed the torch to Horst & Karen Pfeifer in 2006 after the couple lost their New Orleans restaurant Bella Luna during Hurricane Katrina. The original Middendorf’s restaurant is still standing across the parking lot from the new restaurant and deck where I enjoyed my meal. I only made it into the main restaurant to say hello to the hostess with the beautiful smile, and to tell her that I would like to go eat on the deck, she directed me and off I went! Middendorf’s is the Mecca of fried Catfish, specifically, thin fried catfish. Understand, I’ve been reading about this place for years and years, well before the current owners took the reins, so there is cause for concern about building a pyramid up in one’s mind. At the deck at Middendorf’s you order at the bar and pickup at the bar (although everything was delivered to me, along with smiles and nice conversation.) The beers available are generic, miller lite, bud, corona, etc.., no Abita, no fancyfied beers, which tells me this place is all local, love it! I ordered the thin fried catfish, which is the legendary house specialty, and I also read great things about Middendorf’s Barbecued Oysters, so I ordered them as an appetizer with a cup of Turtle Soup. 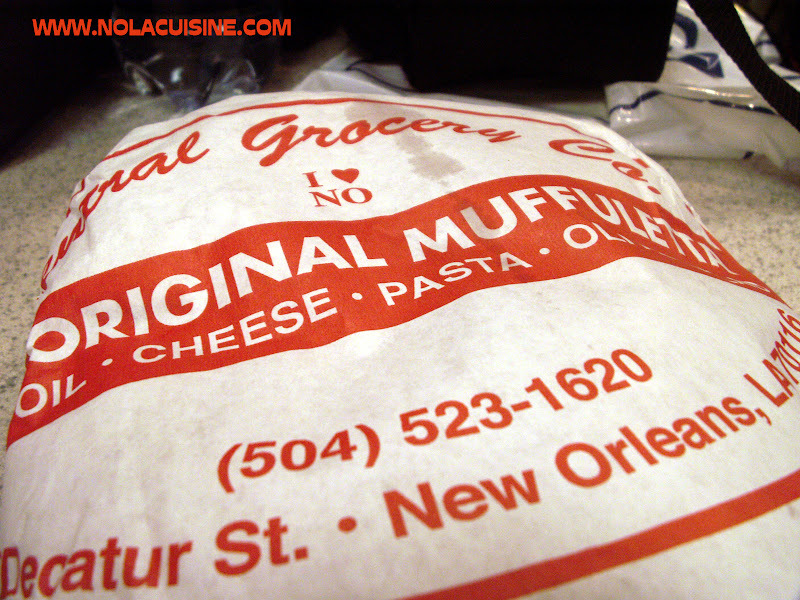 I expected the Barbecue Oysters to be along the lines of Barbecue Shrimp, but they were totally different, in a good way, more along the lines of an Oysters Roffignac. 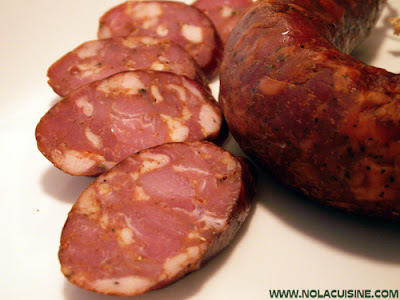 Cleanly shucked with a wonderful red topping, a great first taste for my first meal in Louisiana! To be quite honest, I didn’t take notes, I don’t remember what flavors were going on there, just that they were wonderful and like no other Oyster dish I’ve had previous! Delicious! The Turtle Soup left me a little flat, not terrible by any means, just didn’t blow me away. On to the star of the show, Thin Fried Catfish, probably the most perfectly fried fish I’ve had. Crispy, clean flavor, not a bit greasy. The stuff dreams are made of. The hush puppies are very good, as well as the coleslaw. 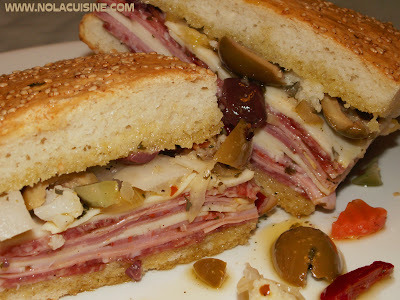 After making my taste buds happy at Middendorf’s I was back on the road to my next destination, with a brief stop off in Ponchatoula, the berry capital. Did a little exploring then moved on to Abita Springs for my next stop (as well as my next post), the Abita Brewery Tour! 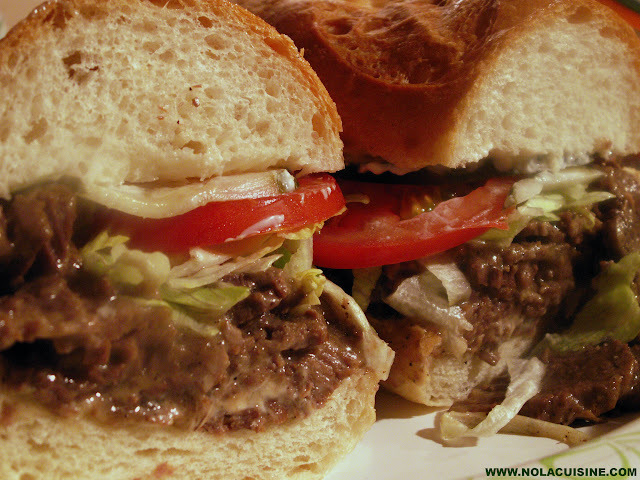 Check out my friend Tim’s post on Middendorf’s at his blog RouxBDoo’s Cajun and Creole Food Blog! Be sure and check out my ever growing Index of Creole & Cajun Recipes, which provides links to all of the recipes featured on this site! 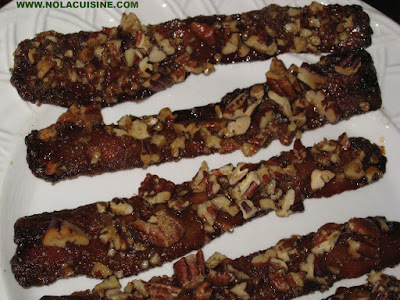 I don’t think there is anything quite as sinful as Praline Bacon. 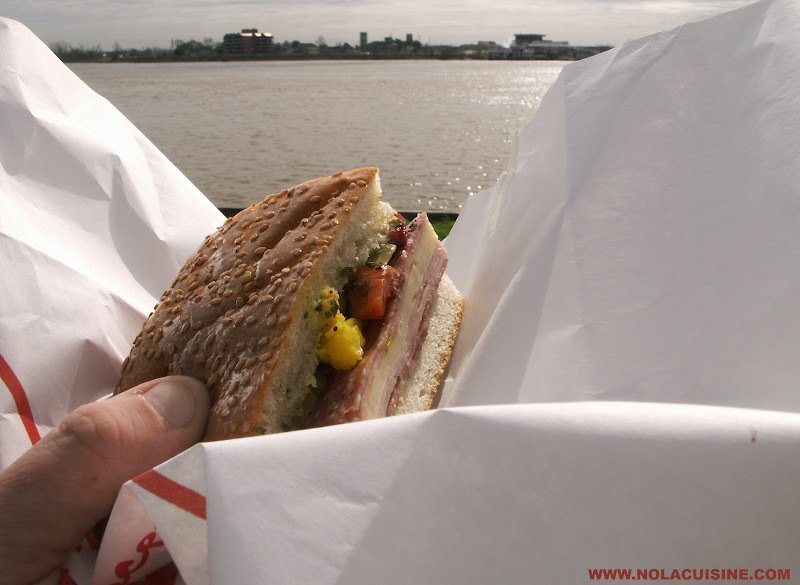 In fact, it is so sinful it could have only been created in New Orleans, and in fact it was, at Elizabeth’s Restaurant in 1998. The flavor marriage of pralines and good smoky bacon is so wrong that it just has to be right. 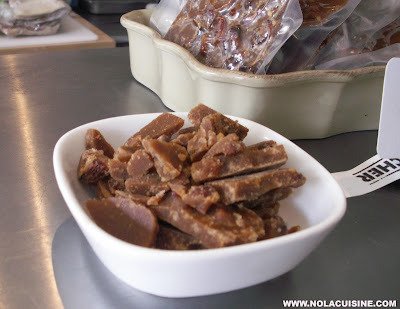 Cochon Butcher (restaurant website) also has Praline Bacon, but taken to a new level, as it is more of a praline with chunks of their house made bacon inside of it. 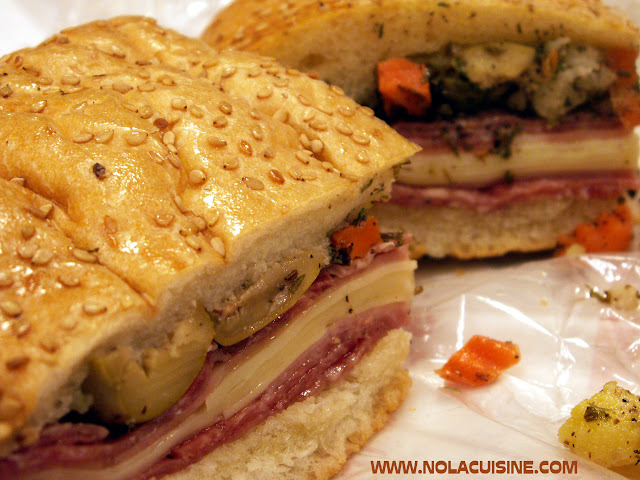 It’s as my friend Timmy from RouxBDoo’s Cajun & Creole Food Blog calls it, “like Sugary Crack”. 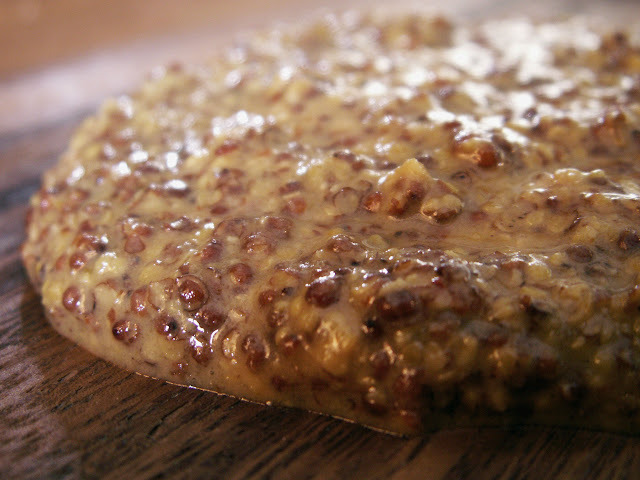 This recipe is more in the style of Elizabeth’s, although I like to leave my Pecans a little chunkier than they do. 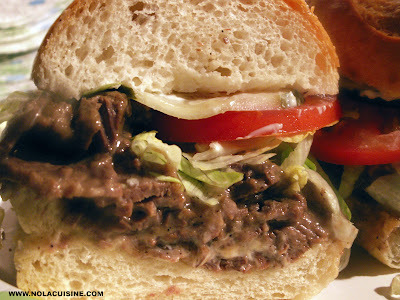 Make this with breakfast, and you will absolutely blow your family and guests away with minimal effort! Place a wire rack on a sheet tray. Combine the Pecans and brown sugar. Lay the bacon side by side on the rack, place in the preheated oven for about 15-20 minutes, or until the bacon is sizzling and starting to brown around the edges. The object is for the bacon to cook about 3/4 of the way through before adding the topping. Push the partially cooked bacon as close together as possible on the rack and brush with the cane syrup, this will give the topping something to grab on to. Cover generously with the Pecan/brown sugar topping. Place back in the oven for about 10 minutes more or until the topping is bubbly and the bacon is good and brown. Let cool. 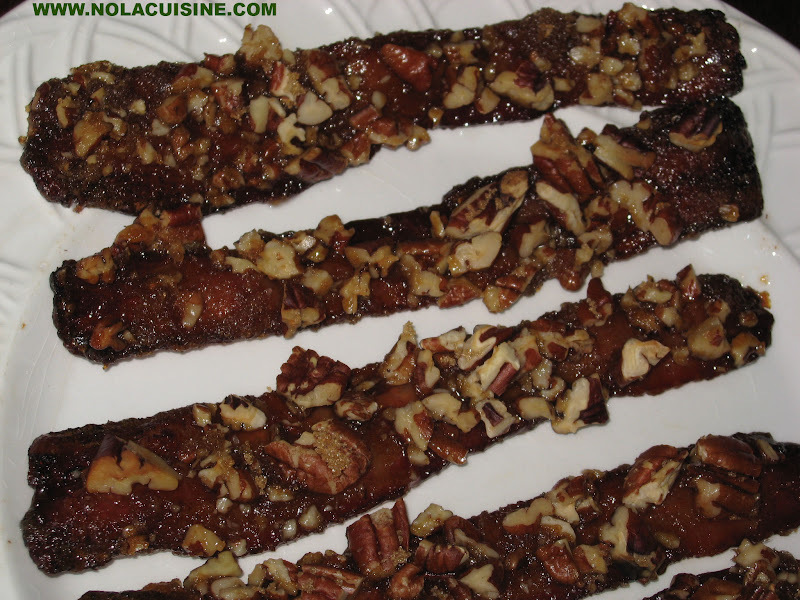 As the Praline Bacon cools it will set up and have a nice chewy bite to it. 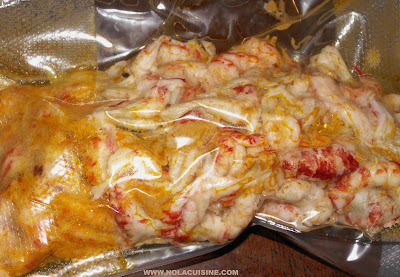 After the Crawfish Boil in the spring I sat down and picked the tail meat and fat from all of the leftovers, vacuum sealed and froze it. 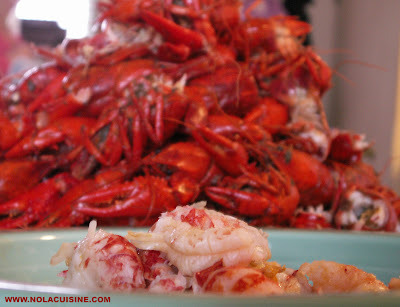 I also made a batch of Crawfish Stock that night with all of the shells, and froze it as well. 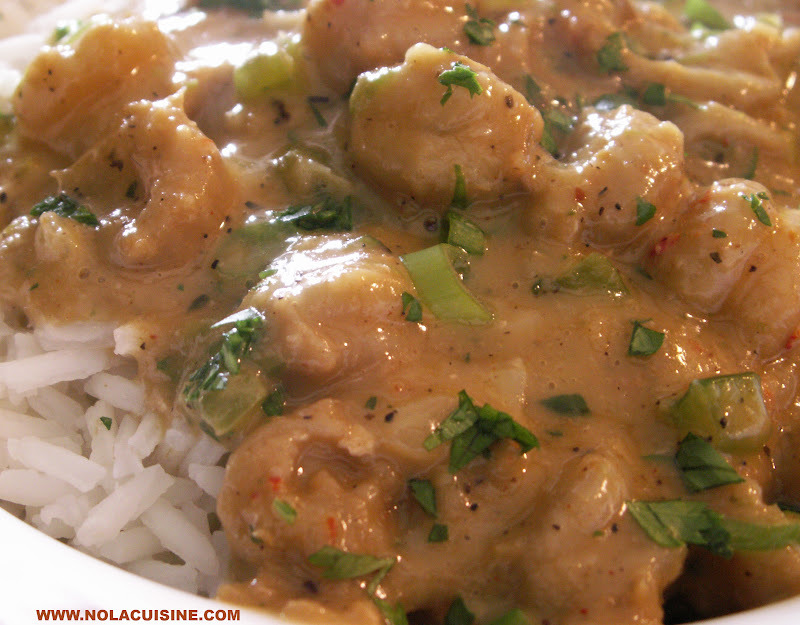 This is a relatively quick stock, much like Shrimp stock, that can really at a lot of flavor to many dishes; Crawfish Bisque, Crawfish Pie, Crawfish Jambalaya, just to name a few, or in the case of my lunch today, Crawfish Etouffee. 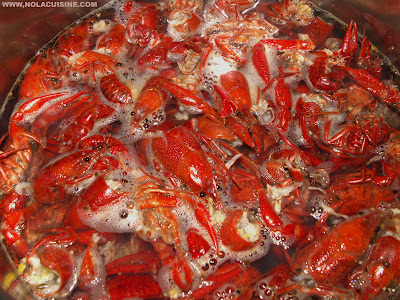 In a stockpot or dutch oven cover the crawfish shells with cold water. Bring to a boil, then reduce to a simmer. Skim off any impurities that rise to the surface. 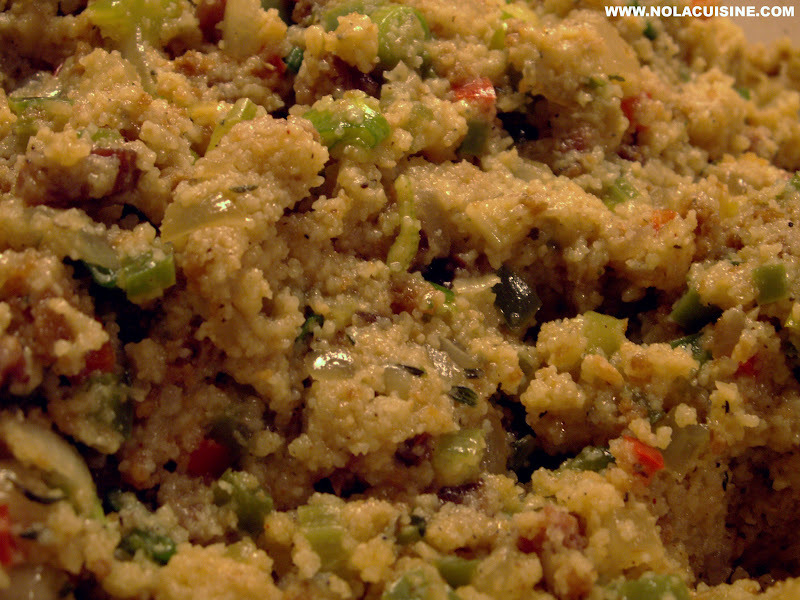 Add the remaining ingredients and bring back to a low boil, reduce to low, and let simmer for 30-40 minutes. Strain through a china cap or fine mesh sieve and cool. Freeze for later use or use within 2-3 days. 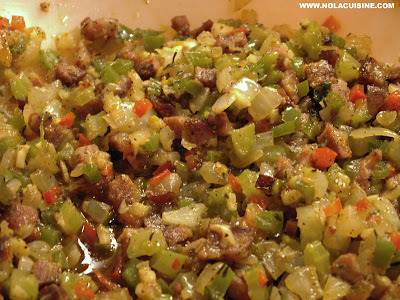 You will only need 1 1/2 to 2 Cups of the stock for my upcoming Crawfish Etouffee Recipe, the rest can be frozen for later use. 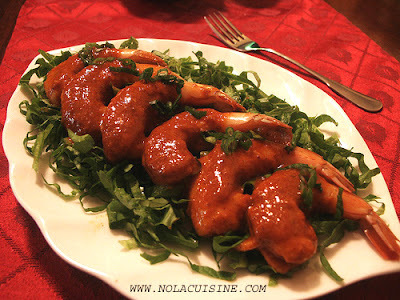 Be sure and check out my every growing Index of Creole & Cajun Recipes which link to every recipe featured on this site!